How to fix Bluetooth not available issue on Windows 10? 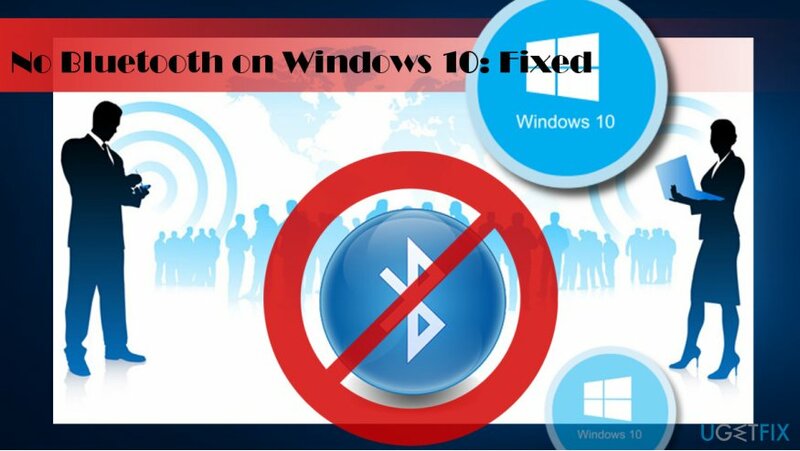 Home »	Fix » How to fix Bluetooth not available issue on Windows 10? Issue: How to fix Bluetooth not available issue on Windows 10? How to Fix Bluetooth Issues on Windows 10? 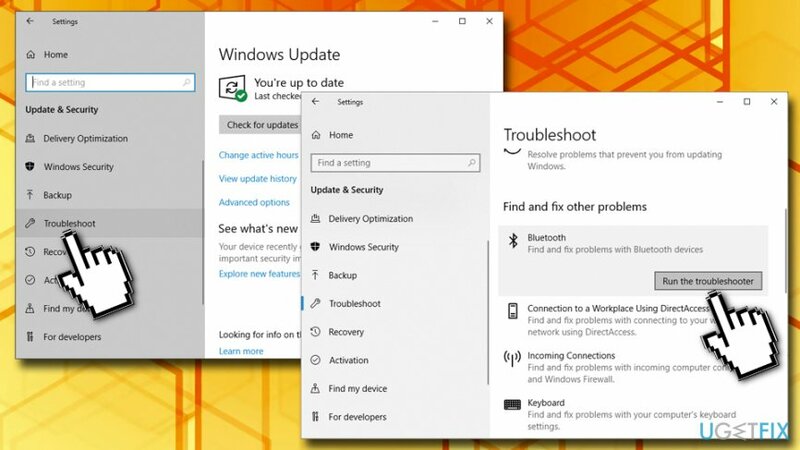 Along with many improvements and new features, Windows 10 brought a handful of bugs. Once Microsoft released the Creators Update, the fuss regarding Windows 10 Anniversary Update issues have eased off, and there is a clear explanation for that. Microsoft released many updates for the 1607 build, so the number of the problems decreased significantly. In the meantime, Creators Update delivered new intolerable bugs, such as network connection problems or unavailable Bluetooth. Additionally, other users complained about Bluetooth not available issue after Windows 10 Fall Creators Update as well so it is highly likely that the problem will not disappear in the future. For that reason, we compiled a set of solutions that could help you fix Bluetooth Not Available on Windows 10 issue. Many members of the Microsoft community encountered problems related to Bluetooth, which simply stopped working after the installation of the newest Windows update. It means that none of the Bluetooth devices, such as keyboard, mouse, headphones, speakers, fitness tracker, phones, etc. can be connected to the affected system. Most of the devices issuing Bluetooth connection problems were updated to the Windows 10 Creators Update manually. Therefore, Microsoft recommends installing the update via Windows Update applet to prevent Bluetooth not available issues. ALPS Bluetooth USB adapter, and several others. Right-click on Start button and select Device Manager. Expand the Bluetooth section and click on Bluetooth device driver. 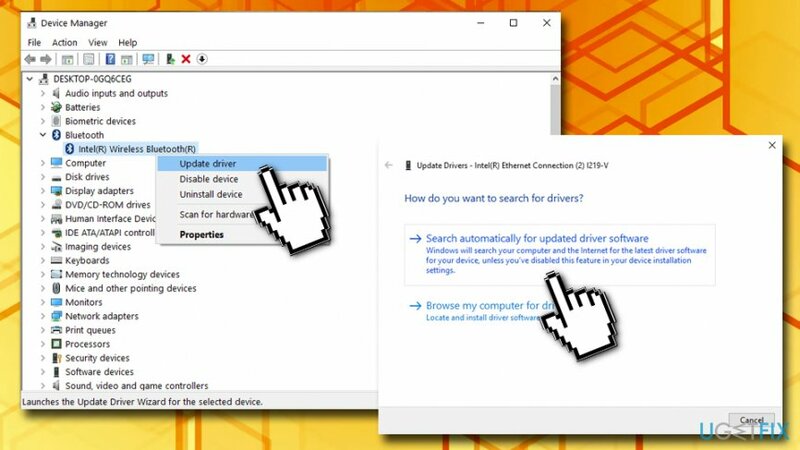 Select Update Driver Software and click Search automatically for updated driver software. If updating did not help, try re-installing the driver. For that, perform the same steps as explained by 1-3 steps, except that instead of Update Driver Software select Uninstall. Then download and install the matching driver from the manufacturer’s website manually. Finally, reboot the system. Right-click on the Start button and select Settings. Locate the malfunctioning device, for example Bluetooth keyboard, click it, and select Remove device. Then click it again and select Add Bluetooth or other device. Finally, click Next and wait until the system detects the Bluetooth device. Click Next and follow the on-screen instructions to complete the re-adding procedure. Type Control Panel into Cortana's search box and hit Enter. Open Hardware and Sounds section and select Bluetooth Devices. Select Options and make sure that the Allow Bluetooth devices to connect to this computer check box is marked. 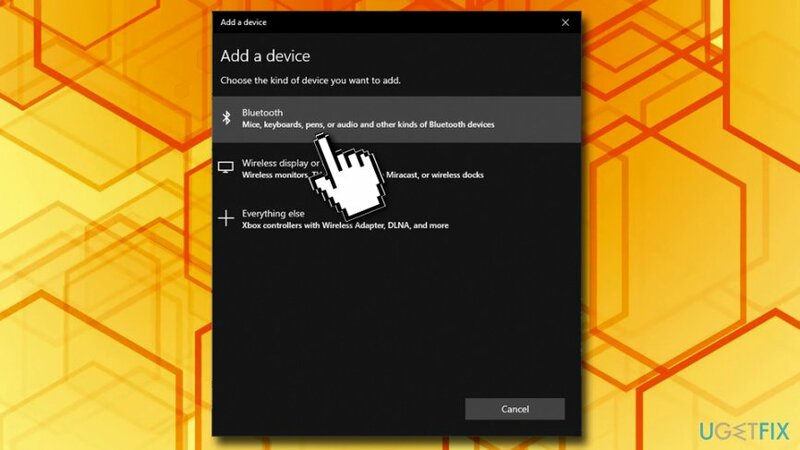 TIP: if your PC/laptop allows Bluetooth devices to connect, check if the device you want to connect to the computer is discoverable. 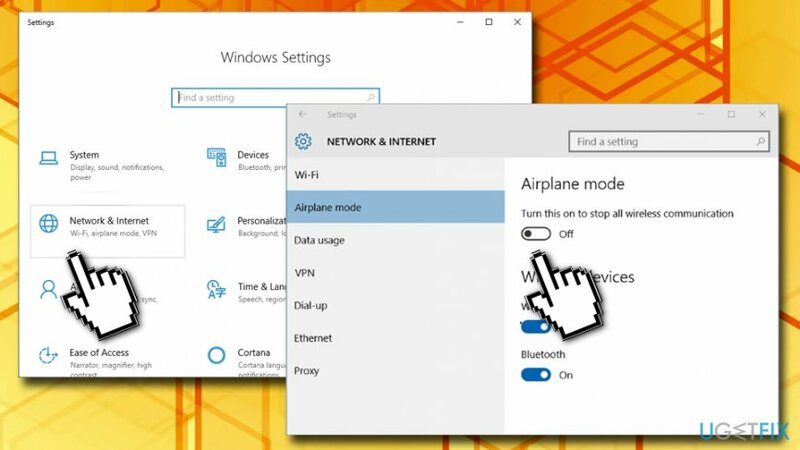 Open Network & Internet section and select Airplane mode. Turn off Airplane mode and then turn on the Bluetooth. Now connect the Bluetooth device and check if that helped. Open Update & Security and select Troubleshoot. Mark the Bluetooth option and click Run the troubleshooter. Wait while the system performs and fixes the detected problems. Press Windows key + R, type services.msc, and press Enter. Double-click on the Bluetooth Support service. If it was stopped, click Start to enable it. Set its Startup type to Automatic. 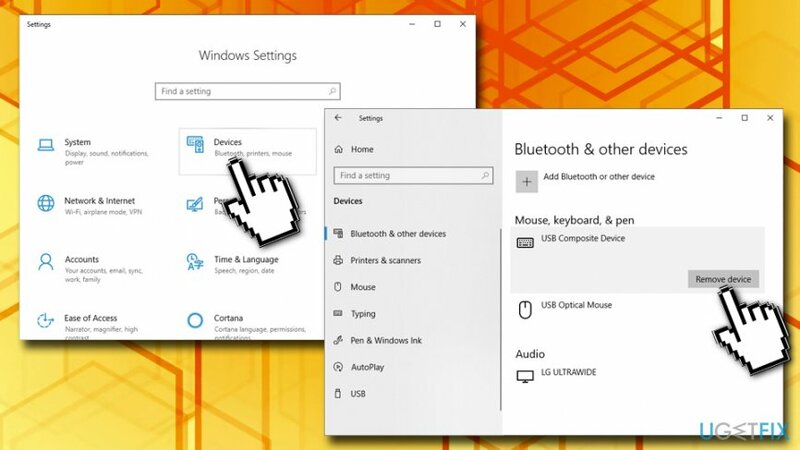 Now open the Log on tab, mark the Local System account, and click OK.
Hopefully, you have successfully fixed Bluetooth not available on Windows 10 issue and cannot connect all required devices. To ensure the system stability in the future, make sure to install all available Windows 10 updates and regularly scan it with a professional optimization tool. We would recommend using Reimage as it contributed to both the system optimization and protection against malware.